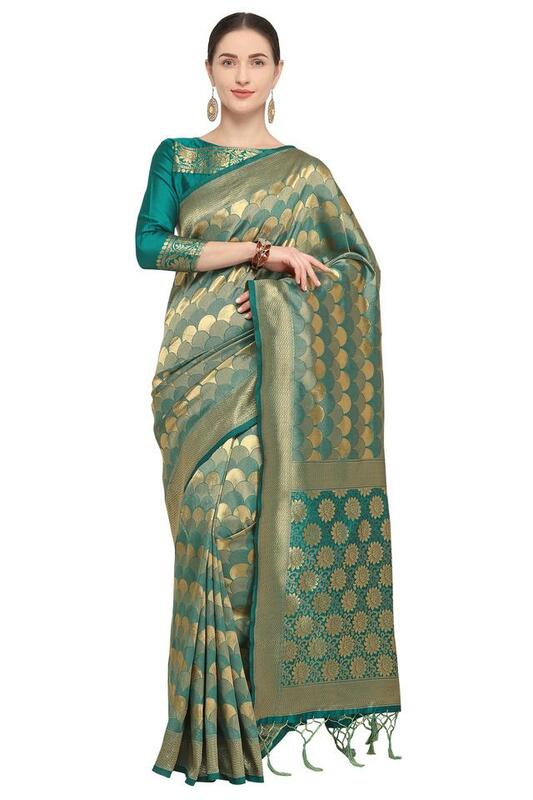 Redefine your style statement by wearing this saree from the house of De Marca. Available in a fine shade, it also features a printed pattern, which renders it elegant. It is crafted with care using good quality silk blend fabric that not only lends it a classy finish but also promises utmost comfort.